When you sit back and simply listen to Divine Divinity, it's difficult to believe that a tiny group of developers such as Larian Studios could create an aural experience that's every bit as majestic and immersive as anything you'll find among the year's A-list titles. The soundtrack is full of thunderous, epic tracks that fit nicely in the fantasy realm, and although they're not quite on par with Jeremy Soule's Icewind Dale or Morrowind scores, they're impressively close. The sound in DD is outstanding and second to none; Kirill Pokrovsky deserves kudos for his work on this title. The background music is always appropriate and really sets the mood and atmosphere for the game it’s some of the best music ive heard in an rpg. The overall quality of the game made up for the voice acting and the music was phenominal. The music score is also involving, from scary types of music when entering the cursed abbey, or jovial songs when visiting the local pub, it just fits. Monster/creature sounds are also µ fairly well done and are important as you may be able to hear a creature before seeing them (based upon your hearing and seeing attributes), thus helping you to know their location. The Devil’s Orchestra Pit : Kirill Pokrovsky has spun together elements distinctly celtic, classical, gothic, and ambient for Divine Divinity’s lush, and oftentimes intense, score. Again, at the risk of sounding cliché, at times the music sounds somewhere comfortably between the tribal ambiance of Diablo II and the orchestral grandeur of Baldur’s Gate. Occasionally, some of the drum-heavy tracks can get tiring to the ear, but I never felt the need to disable the musical score and load up ye olde WinAMP. While, compositionally, Pokrovsky’s score is very strong, it seems as though he could have drastically benefited from higher-quality samples. On occasion the strings sound too synth-like, spoiling the overall effect, a further disappointment given how strong Divine Divinity’s atmosphere is. The title track from Divine Divinity is a special piece of music. It sets the tone, the pace, the atmosphere for the whole game. It’s almost as angelic and prophetic as it is deep, engrossing, and emphatic… the music helps you immerse yourself into the role of the Divine One. Will you survive…? Will you fulfill your quests? Will you deliver? The music will set you on your way, but the rest is up to you. This piece of music was created with live violins in which two emotions are represented, passion and the cold power of magic. The music was recorded with percussions playing live and an acoustic violin. This piece of music appears in the game, in the town Verdistis. The song very clearly represents the tension that exists in the city between the few forces ruling it and the rest of the citizens who are poor and have no power to defend themselves. The citizens are not happy with their conditions and therefore the music is very tense and sad and the same time, its rhythm clearly represents the busy life. This particular song is set against the background of the Wastelands, one of the areas the player will travel through while playing Divinity. 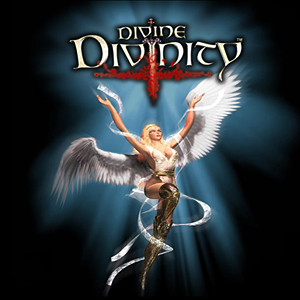 It was composed and produced by Kirill Pokrovsky, the russian composer who creates the entire soundtrack for "Divine Divinity". This is one of the many themes you will be hearing while travelling the forests of Divinity. The difference with the other songs is quite drastic, and gives you an idea how we try to evoke the right emotion at the right time. This is russian for 'battle'. Bitva is a very complex piece of music and Kirill, the composer, spent almost three months recording and mixing this piece. He used not only choirs, orchestral sounds, but also bass guitar, electric guitar and rock drums. There were a lot of doubts and discussions, but Kirill believes that it is a truly postmodern way of combining things that were not possible before, and it is his first composition for the 21th century. You will hear russian and celtic influences in the song. This piece was our first internal test of how the blending system might sound. You are hearing different parts of different pieces attached to each other. While for this song it was done manually, the blending system in the game sounds similar. Voin is Russian for 'warrior'.